My first new find for 2015 which is not on the gallery although I see that the mark 'Recipe Collection' is on page 74 of Valerie Ringer Monk's Collectors Handbook. Thanks Val, curiously it is not in the index. 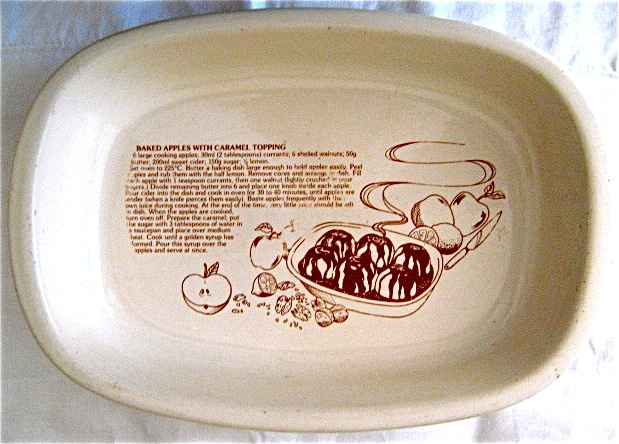 The sample in the book is a pie dish this is a larger dish with a recipe for 6 Baked Caramel apples . Been used more than once and will be again. 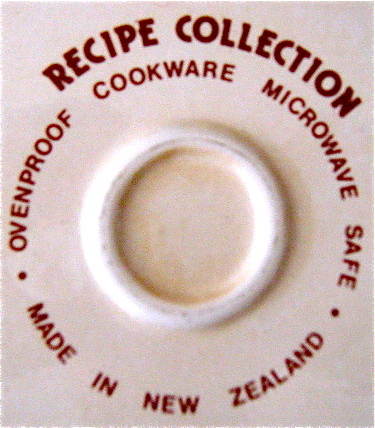 Measures 315 x 215 x 55mm . Date from late 1970's to early 1980's ,the Pie dish measures 235mm dia. Good spotting JanPots, but sorry not quite. The one I have measures 315 x 215mm. I wonder how many others there are to find?